Oster My Blend Blender With Travel Bottle Just $17.99! Down From $25! You are here: Home / Great Deals / Amazon Deals / Oster My Blend Blender With Travel Bottle Just $17.99! Down From $25! At Amazon, you can score this Oster My Blend Blender With Travel Bottle for just $17.99 down from $24.99 PLUS FREE shipping with Amazon Prime or for orders over $25! Get up. Get blending. Get going. Your life on the go just took a whole new direction. 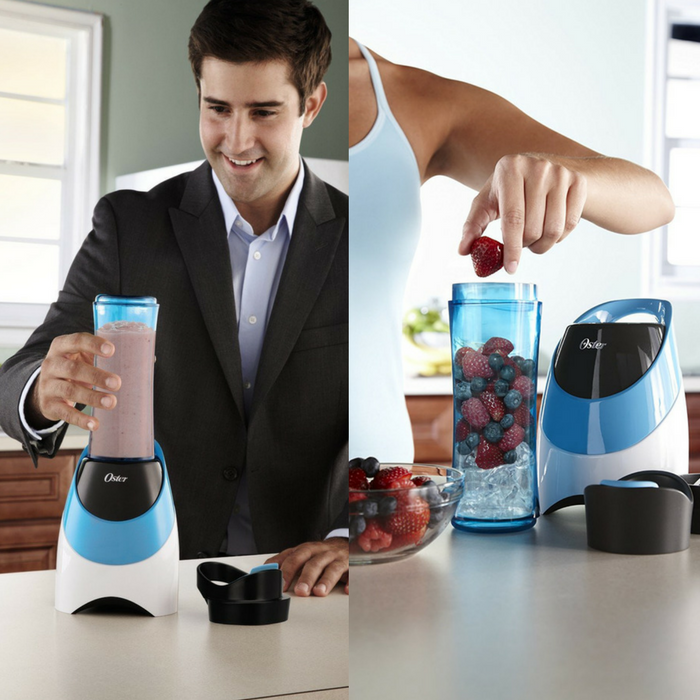 The Oster My Blend is designed for your active, fast-paced lifestyle. Sleek, industrial design of the stylish travel sport bottle. A powerful 250-watt motor turns ice and frozen fruit into your favorite smoothies, health shakes, and diet drinks. When in use, you replace the blade with the drinking lid, so you don’t have to drink with the blade still in the bottom. The Blender base is small enough to keep on your counter every day.